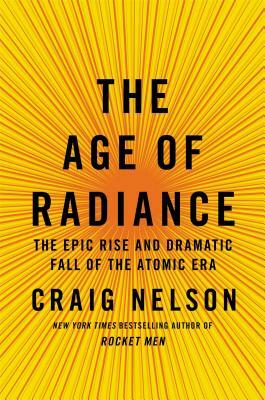 "A book that moves at a thrilling pace through the while history of the atomic age... Mr. Nelson wisely dramatizes the insights that led to understanding the nucleus by following the lives of a few physcists, each a leader in the field and each displaying remarkable traits of individuality, creativity and endurance... this ambitious book does achieve is goal, presenting a grand and very readable overview of the nuclear era." "Rich with powerful images ... fraught with drama ... and moments of great pathos ... a thrilling, intense, and disturbing account of the scientific and sociopolitical history of the atomic era, from the discovery of X-rays to the tragic meltdown of Japan’s Fukushima Daiichi nuclear power plant in March 2011." "A comprehensive and fascinating look at the invention of atomic energy. It is the sort of book struck through with facts, quotes, and stories that you never even knew happened. Nelson is as dexterous writing about Cold War-era Realpolitik as he is writing about complicated science in a way that the proletariat can get an idea of what’s going on; and he’s funny to boot. The pleasure of reading this book comes from the many, many insights and facts that are brought to light through Nelson’s smart voice." "Nelson is especially good with a 'you are there' approach in describing Curie’s work and her late-night visits to the backyard lab with husband Pierre to look at the glow from her experiments stored in jars. He uses a similar tack in describing efforts by Enrico Fermi, Leo Szilard and others to start a chain reaction at an old squash court at the University of Chicago, work that gave rise to the Los Alamos lab and the construction of the first working atomic bombs."